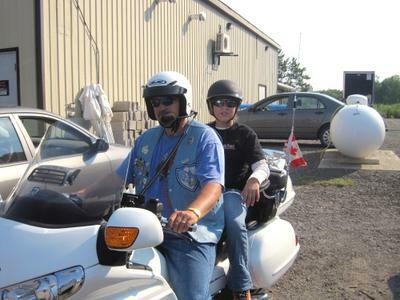 Want to enjoy a great ride and help children at the same time? 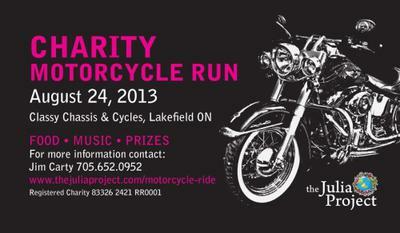 Then please join us on Saturday August 24th for our registered charity's annual fundraiser ride. All proceeds help educate children in need. Leaving Lakefield and touring the Kawarthas on our police escorted ride through Ennismore, Buckhorn, Apsley, and Havelock. Great food and amazing prizes. Visit The Julia Project for full details.